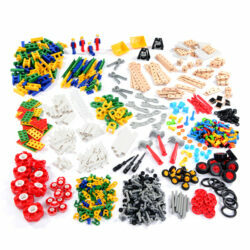 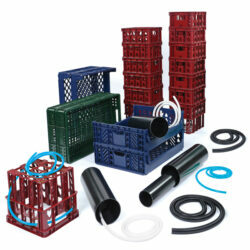 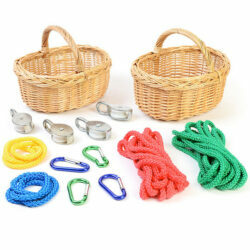 This ready-made building vehicles collection will enable children to build all kinds of vehicles. 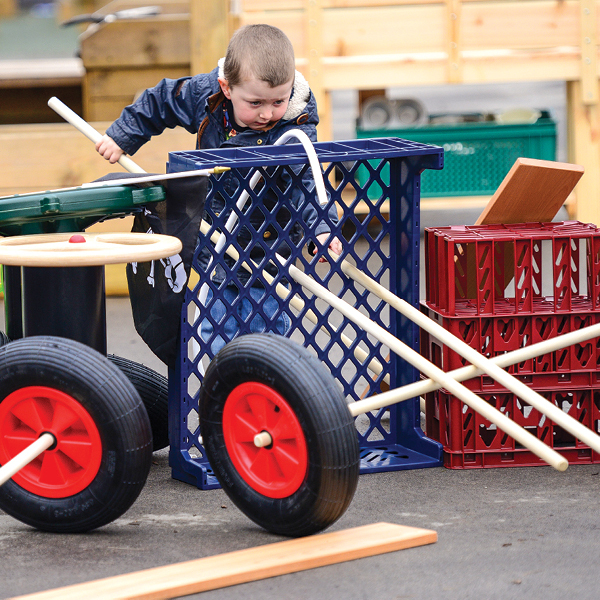 The wheels, which can be easily connected together using the wooden poles, make it easy to build cars and buses and the ships wheel, oars and flags take children off into great adventures out at sea. 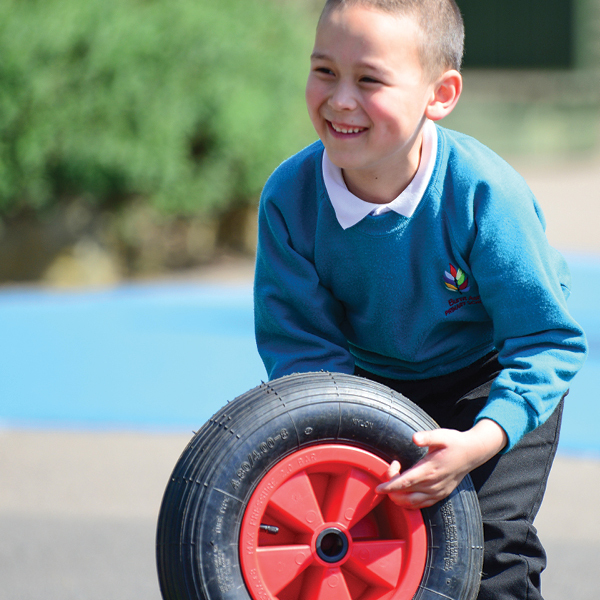 The size of these resources and the way they connect together make them challenging to use, giving rise to the need for collaboration and a great deal of persistence. 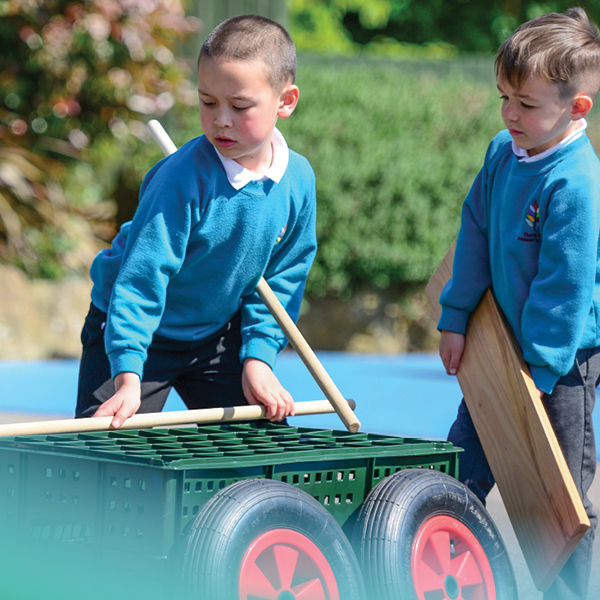 They offer significant opportunities for children to develop their physical skills, both gross and fine motor, whilst engaged in creative and critical thinking with their peers. 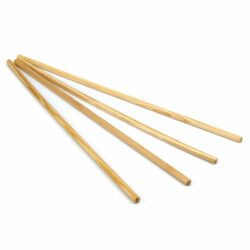 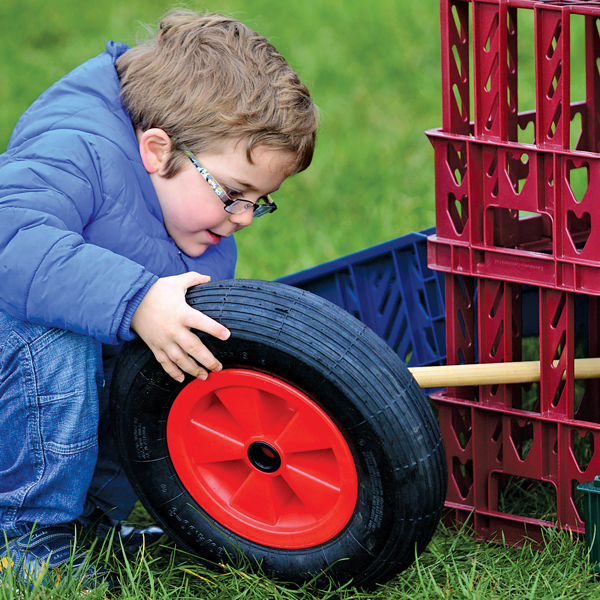 An essential resource of any good outdoor area. 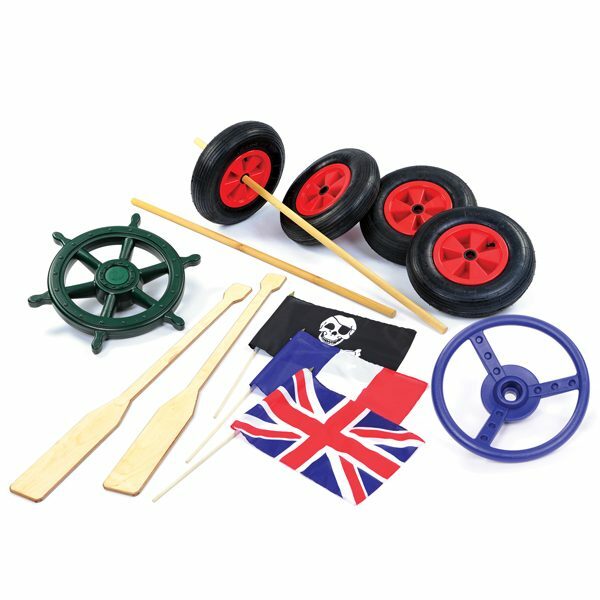 Green Pirate Steering Wheel– 480mm and Blue Steering Wheel 330mm – Both Wheels include fixing bolts, washer and bolt cover suitable for fixing these wheels to wood, perfect addition to make children’s vehicles or ships come to life. 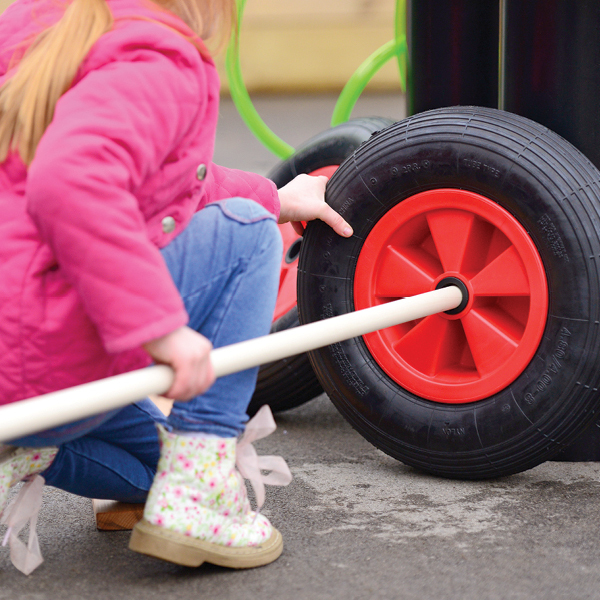 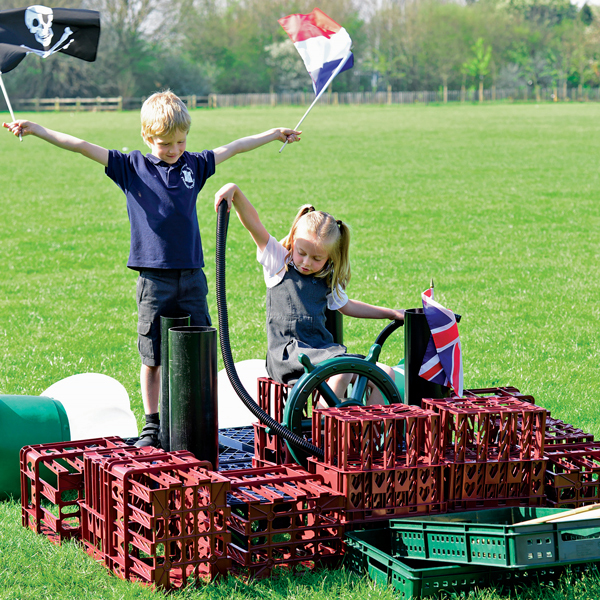 Set of Tyres x 4 and Set of Poles x 2 – Wooden poles fit perfectly with our 16” rubber tyres, enabling children to create vehicles from their imagination. 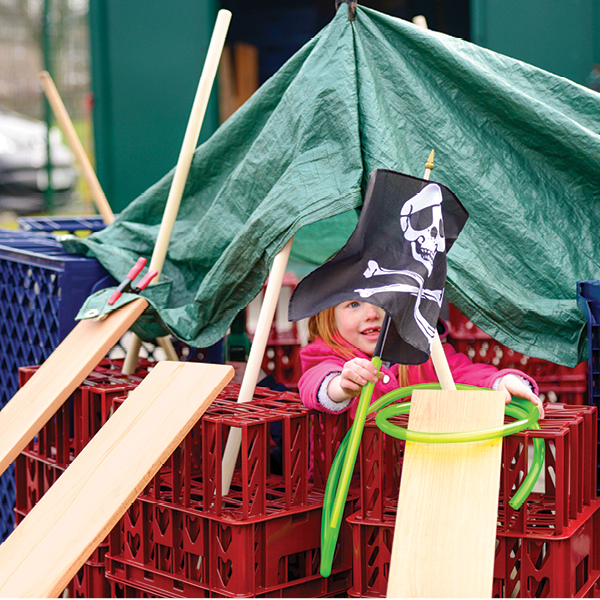 Wooden Oars x 2 – Children will love this set of two oars as they play imaginatively, expressing and communicating ideas, perhaps paddling towards a pirate ship to capture them.